Product prices and availability are accurate as of 2019-04-14 03:34:11 EDT and are subject to change. Any price and availability information displayed on http://www.amazon.com/ at the time of purchase will apply to the purchase of this product. 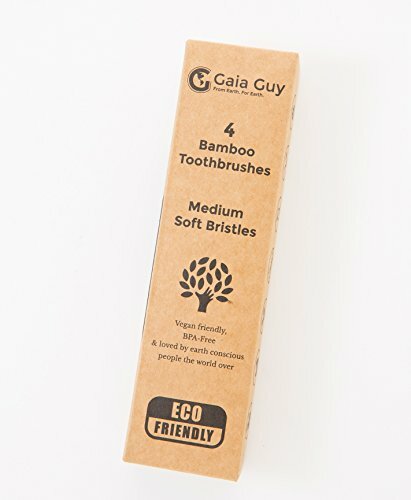 Benefits of Gaia Guy Bamboo Toothbrush - 4 Pack! Get your Gaia Guy toothbrush today. Just click add to cart and feel better about your daily oral hygiene routine. 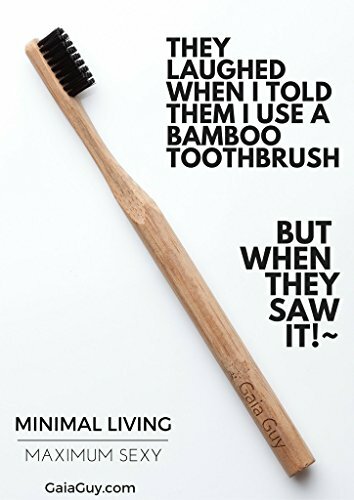 ECO-FRIENDLY: The handle is made from 100% natural bamboo and the bristles are infused with bamboo charcoal. You get a light, yet solid and naturally antimicrobial toothbrush that will leave your teeth and conscience super clean. 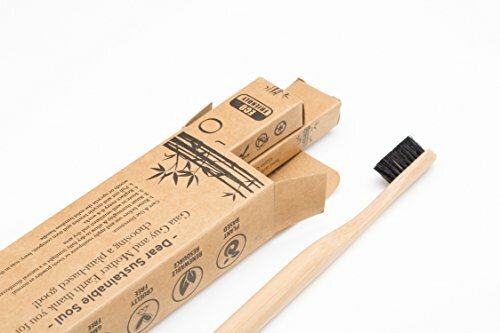 PERFECT SHAPE & SIZE: Perfectly shaped head with medium soft charcoal infused nylon-6 bristles that really clean your teeth and a gorgeous smooth solid bamboo handle that feels so great in your hand every time you brush DURABLE: This beautiful bamboo tooth brush will last as long as a regular toothbrush. Replace every 3 months or so. Best part is you can put this one if your compost, use it as a marker for your organic kale or any veggies. Your plastic toothbrush sadly goes on polluting for 1000s of years if not longer. 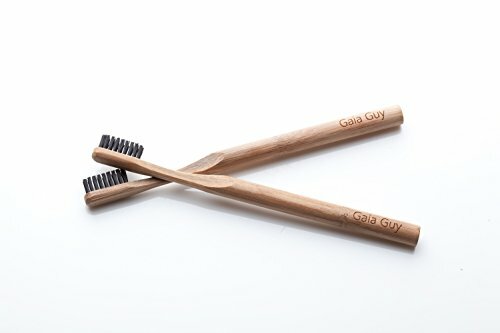 SUPPORT THE CHANGE: Imagine the amount of plastic you will keep out of the environment by choosing to use Gaia Guy's biodegradable toothbrush. 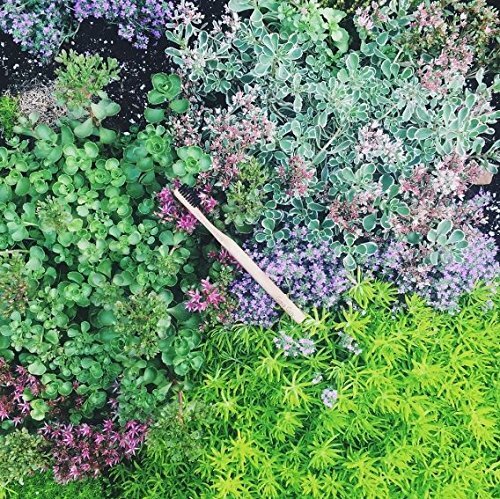 One simple choice creates a powerful positive change for the environment; just by brushing better. This bamboo toothbrush will not only make your smile better, but the planet better too. 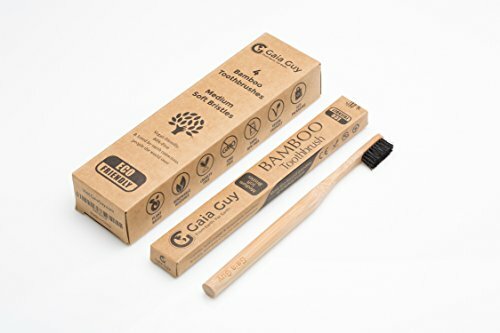 GREAT VALUE AND SATISFACTION GUARANTEED - Gaia Guy wants you to be happy with your premium organic bamboo toothbrush. Whether you use it with your toothpaste or tooth powder we want your complete satisfaction. Let us know if you have any comments or concerns. We would love to hear from you. BUY NOW AND MAKE YOUR ECO-FOOTPRINT LEAVE A POSITIVE STEP! Just click the "Add to Cart"